Who Cares About "Whom" Anymore? Repeat after me: “English is a living language.” As such, it is constantly metamorphosing. And though people like you and me do our best to stem an inexorable tide of change long enough to preserve high standards for the sake of clarity, we have to know when to get out of the way and let the language evolve. That transformation is occurring as, with the mother tongue’s permission, one word steadily wrests responsibilities away from another. The bureaucracy of English has given who the equivalent of a sleek corner office, while whom is relegated to what in the language world passes for a shabby battleship-gray desk in the boiler room. Who is relative to the subject of a sentence; whom relates to the object: In “She met him,” she is the subject, the person doing the action, and him is the object, the person having the object done to them. Complicated? Definitely. And just as water seeks the lowest level, language searches for the easy way. That’s why, increasingly, whom is replaced in most usage by the “incorrect” who — the only situation in which it doesn’t work is the “To whom” form referenced just above, which is easily circumvented by “Who was she introduced to?” (Remember, sentences are permitted to end a preposition with.) The upshot is that the old guy in the boiler room doesn’t get many visitors, while the corner office is Party Central. But take care, because formal writing is drawing out the slow death of whom; many writers and editors, I believe, are concerned about seeming sloppy if they retire it, so I expect it will continue to poke its head out the boiler room door and scowl at us for some time to come. “Repeat after me: ‘English is a living language. '” Thus, “ain’t” is da bomb deez dayz, dogg, ain’t it? We don’t even have to quibble anymore about the correctness of it in “I am not” usage. Dope! The devolution revolution brings convolution to conclusion. Word. There’s a problem with this type of “evolution.” And it’s this: writing reflects and promotes thought. While my gut reacts to “whom” as sounding pompous (no doubt because of its relocation to the boiler room), I cringe at its becoming extinct. There is a difference between subjects and objects and the blurring of the language boundaries that make that distinction muddies the thought process of the speaker/writer and, in turn, the population in general. One more observation: the aversion to using “whom” at the risk of sounding highfalutin is odd, considering the use of a lot of the trumped up jargon that goes in and out of fashion (saying “interface” as opposed to “talk”). I just read your article and when I was finished I realized that being subscribed to your site was the equivalent of having someone do your homework. I can’t thank you enough for correcting some of my errors, verifying that I was using a word correctly and opening my eyes to other features of our language. I love getting these daily lessons in English. All this without red checkmarks! I’m confused. Are you actually advocating in favor of jettisoning the objective form “whom” because careless speakers and casual writers don’t know when to use it? Who are the bureaucrats of English who have handed the word its redundancy papers? I can think of any number of other usages which are embarrassingly common even among the reasonably literate; what, precisely, are the criteria that justify us in continuing to fulminate about the use of “myself” rather than “me” (or, for that matter, the use of “I” where “me” is correct), but quietly abandoning the simple and elegant distinction between who and whom? While I do recognize that language is a living, evolving thing, in my world, “whom” still occupies a nice, sleek corner office — at least in my formal writing and speaking. Grammar is part of human history, we have the old epoch and the new generation, that life transforms so as to the usage of languages.As the years go by– things continue to develop, we can’t hold this trend since this is part of the day-to-day man’s never-ending activity. How ever the distinction between who and whom usage, is best explained here, that it will help me better. So we should accept the lowest common denominator as our standard? It is because people speak so badly that they write so badly. They have such impoverished notions of etymology, grammar and diction, that they find it impossible to write “formally” (as you put it) and can only manage a kind of debased pidgin. 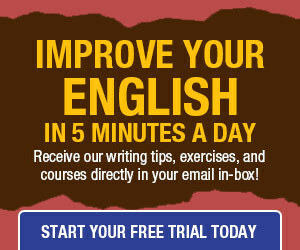 Does that mean that those of us who can speak English and who understand our language must also write as if we don’t? Does it mean we should spell “than” as “then” because so many people say it and write it this way? To the vast majority, who speak this ‘evolved’ English (and even more ‘evolved’ versions) sentences like, “Who was she introduced to?” may seem fine. To me, they are jarring: the kind of thing that takes me right out of the moment when I am reading. That as supposed to say "…the person having the ACTION done to them." Right? Again, mathematical and scientific concepts may be applied to what is generally viewed as a social or qualitative field of thought. Quite interesting as this view or observation leads one to believe that a universal template exists for application to vast areas of human concern. For instance the assertion that “English is a living language” translated into scientific terms is this hypothesis “English is an open system” Using the term hypothesis converts the discourse from an exchange of views to the use of mathematical and statistical concepts involving their own inherent subjective constructs. Further use of the term open system applies the Laws of Physics to the assertion. There is a possible line of reasoning that could also advance the discourse to quantum physics. (not today) Cognitive neurology, psychology, logic and rhetoric are among all other fields of study that may be entered into the discussion. The point here is serious and entertaining. In as far as, the original construct that “English is a living language” is not a discourse limited to the realms of professors in English, Society, Communications and the like. Indeed the statement requires the further application of advanced mathematical and scientific constructs to draw a well-reasoned legitimate conclusion. Hence, the issue shifts to how to govern an open system to prevent entropy and utter chaos. We use principles of governance to attain the benefits of both open and closed systems. This invokes a regiment of protocols and rules to provide definition to an inherently invisible abstract… language. Leading to its own unique system of jurisprudence. To be humbly brief, it is conclusive that any rule, construct or idea in an area of concern is not restricted to its narrow field of concern. High-reasoning and creativity in a specific field of concern requires the application of vast constructs in other fields of concern to arrive at sound legitimate conclusions in both the theories and practices of the specific field. I’m sure that people do “like you and me”. But despite that, I believe that “.. though people like you and me do our best to stem….” should really be “… though people like you and I do our best to stem…”. Yes, my mother was an English teacher! Thank you for this post. I have always struggled with when to use “whom”. Hopefully, I will be able to remember from now on. At least, until it’s deemed unnecessary anymore. Don’t kill the messenger (the one for whom the bell tolls) — and, speaking of death, reports of whom’s demise have been exaggerated before. Perhaps a better analogy would be that writers can often easily bypass both the corner office and the boiler room. As for whether to start a sentence with who or whom, I can understand the reticence about using the “wrong” form, but “Who does the bell toll for?” (outside of poetic contexts) sounds better to me than “Whom does the bell toll for?” When I have to say “whom,” I feel as if, while I’m out on a walk, chewing gum stuck to the sidewalk attaches to my shoe and stops me short. You shouldn’t get rid of “whom” so hastily, I think that evolution doesn’t stand for dropping all rules into disuse, as far as I concern I’ve followed this threads since I’m looking forward to learning not only what is right but what is correct. 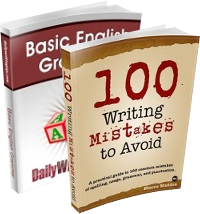 you are the ones whom many have relied on as a trustworthy source of knowledge about English grammar. I don’t see the attack on “whom” as an example of how language evolves. This is not the same as changing the name we use for something (e.g., “dialogue” as a verb to describe the action of conversing). Rather, it reflects a misunderstanding (or lack of knowledge) about the grammatical structure of the language. If we let the structure of the language devolve into chaos, we eventually lose the ability to communicate. Communication is essential to societal growth and stability. Furthermore, as our society becomes increasingly global, we must maintain the structure of the language to be understood by those who speak a different language. Sure, I thought, cars with automatic transmissions are easier when learning, but there are specific, definable reasons for driving a car with a manual transmission. We don’t get rid of them simply because some people have difficulty driving them. Instead, we teach people (those who wish to learn) to drive cars with manual transmissions so they have more vehicle options, can make informed decisions about which type of car they prefer, and can contribute to driving responsibilities when riding in a car with a manual transmission. Funny that so many object to the demise of whomism, but there isn’t so much as whimper over things like the wine/whine “merger”, (that many of the self-declared cognnscenti don’t even seem aware of), the use of healthy for healthful, nauseous for nauseating, or constructions like “I’m bored of this”. The last is more beastly than any who/m and the other others are genuine impediments to communication. The thing that makes whom justly obsolescent is that it doesn’t contribute anythying of worth. “What” does just fine, without a what/wham distinction imagined necessary to preserve “the grammatical structure of the language.” He is to him as it is to it. That is to wham I am referring. To wham it may apply. Yes, we still have manual trasmissions. Why (that ‘s HWY) is unclear. We also have Civil War reenactors and black powder enthusiasts and sailboats. Manual chokes and crank starters? Not so much… Maybe whom just isn’t any fun. Marie I wish you hadn’t brought that up, I’d just resigned myself to the explanation that it must be because “like” is a preposition and so it demands the objective case in the words it refers to. Now you tell me your mother was an English teacher; can I take it her subject was maths? The fuddy-duddies on here are hilarious indeed. Not using “whom” is the lowest common denominator? Well, not using case endings is absolutely abominable (says the stuffy speaker of Old English)! No, the disuse of “whom” is a rather inoffensive example of language change and simplification. Don’t pretend you’re somehow better than others because you try to retain its use. If you absolutely insist on your superiority, I suggest you add a few case endings to your speech. Although I am a late arrival to this debate, I am fascinated by contributors who earnestly point out some error or other, and make another one in their own email. e.g. The contribution by ‘PRECISE EDIT’. “You have only two choices: who and whom”. We were taught that to choose between two thing, was a choice. To have two choices, was indeed to have TWO choices, requiring more than two items from which to choose………twice. ‘Two choices’, when choosing only once, from two items, was considered a definite mistake, and got the red pencil. You were in fact making A CHOICE. So, if y`all gonna criticise someone else, y` gotta be sure you right yo`self! ……….S`a good motto yeah? I would love a discussion about the death of the word “per” … It has been replaced with “a” = once a month, twice a week and so forth. What happened? Yes. This is exactly what he’s saying. The author is not arguing that it’s ok to avoid “whom” in casual conversation because insisting otherwise makes you seem stuffy and condescending to most people. The point was actually “grammers dumb dawg who needs it”. You are clever and well educated to read between the lines and get to the heart of the argument that the author was really making. I could easily be picking on someone else; you just had a good quote high up the page; (I almost went after Jeff’s casually kinda-racist comment instead). The english language is notoriously hard to learn. It’s hard to learn because it has a lot of special rules and spellings that you have to memorize that are only useful in certain specific situations. If learning a particular grammatical rule or distinct spelling doesn’t allow you to express yourself more clearly, I’m not saying you shouldn’t learn it. People will judge you (e.g. “that guy who always uses “whom” probably isn’t much fun at parties”). Learning these rules is a necessary evil though. They’re bugs in the language, not features. The information that the “m” in “whom” conveys is redundant. That’s the whole reason people have a hard time remembering how to apply this rule. Listeners get the same information from context without even thinking about it. This is the evolution of the language, in every sense of that word. Repeat after me: “English is a living language.” As such, it is constantly metamorphosing. And though people like you and me do our best to …. Shouldn’t it be “people like you and I”? There is no reason to keep ‘whom’ around. And don’t give me that “there is a difference between the subject and the object blah blah blah”. Yeah, back in the day there used to be several different words for the word ‘you’ and ‘your’: thou, thee, thy, thine, ye. The problem with grammarians is that they are so fixated on obeying the “rules” of English when in fact all language is highly abstract and evolutionary in nature. Who cares about “whom”? I do! I just finished reading two books where the word “who” was used when “whom” would have been correct. One of the characters was an English teacher! No. “People like you and me…” is correct.